The First Milestone: Who the hell should I target? This can be a very potent question if you are reaching out for the first time. You have no clue where to start and who to reach out to. That’s alright. It’s time to brainstorm for a bit. Look at your competitors and see what kind of businesses have given them testimonials. Look at the size of these companies. Are they 200 people companies or 25 people companies? Take note. Create a list of companies and professionals and find similar companies and people with the same job titles. From this list, choose one particular Industry and find the companies within that Industry and the people in that Industry. Now you have an idea of who to target. Use your best co-worker’s help, Linkedin. The Second Milestone: What’s your email address? Now that you know who to target, you need to know where to target them. A Linkedin message? Everybody does that. Also, your prospects might not connect to Linkedin daily. Let me cut to the chase. Email is a good channel. Why? Email is scalable without any restrictions, except SPAM restrictions which you need to keep in mind. Sending highly personalized emails to an Invalid email account wastes a lot of your team’s time. If you send quite a few emails that bounce, you will be marked as a spammer. A lot of email sending tools charge based on the size of your list, keeping that in mind, you don’t want to be paying for invalid emails in that list. So without further ado. Let’s find some emails. Although we wrote this ourselves and it’s a shameless plug, we think Find That Email is a relevant tool! It’s been rated as one of the most accurate tools by Ahrefs in this article. There are a few different ways to find email addresses with Find That Email. Also, Find That Email does not scrape Linkedin data. It takes the name and domain information from Linkedin and finds the email address from the Find That Email database which has about 300 Million Found Emails. 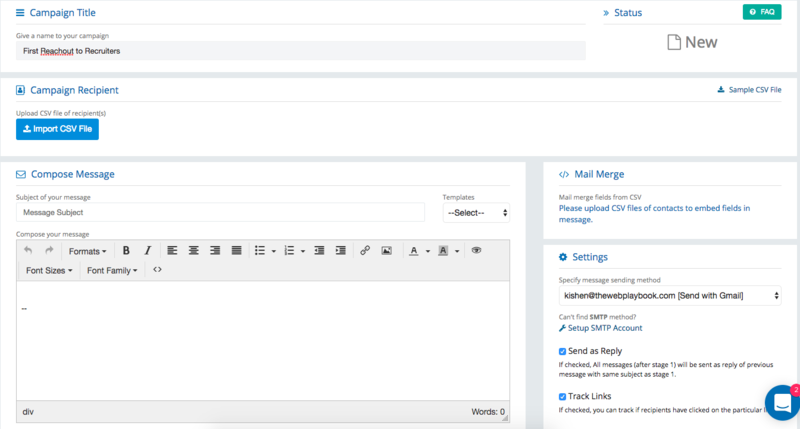 This is the fastest way to find high-quality emails. Linkedin is the place you prospect and it’s also the place to Find Email addresses. You can find emails in bulk or you can find emails individually. Sign up for the service and you get 50 free credits a month. That means 50 found email addresses a month. When you have the extension ready. Alternatively, you can choose to find emails in bulk. By entering the job title in the search bar and choosing the “People” tab. You can find up to 10 email addresses on a page. And keep moving to the next page. Within a matter of minutes, you can collect hundreds of email addresses. Another way to find email addresses but in bigger numbers is to use the Find Emails in Bulk option. Say you want to send 5000 emails a month. You can’t prospect one by one. You’ll need a list. You might be thinking, how long will it take to find 5000 names and company domains. A solid trick is to get the help of a Filipino virtual assistant, who you can pay $2/hr to collect names. You just need to give clear cut instructions and you should be good to go. Now you have a bunch of emails. It’s time to reach out. A powerful tool that helps with reach out is SalesHandy. SalesHandy is a top email outreach tool that has a host of features that are valuable to a sales team. Getting started with SalesHandy is a breeze! Here is a list of things you can do. With SalesHandy, you can create a separate campaign for each different segment you target. Creating highly focused campaigns will enable you to have a focused email marketing effort which will directly lead to better conversion. 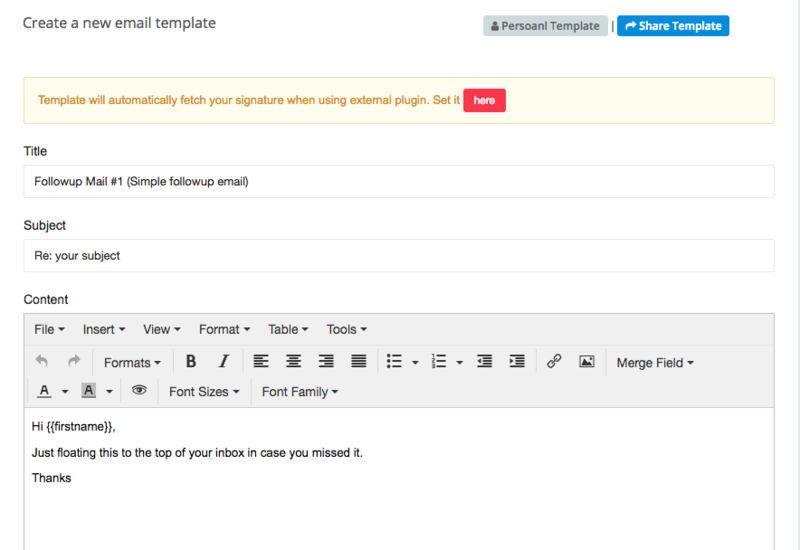 Creating custom templates is also super easy with SalesHandy. You can make them once, name them and use them repeatedly for multiple campaigns. The effort you have to take with email templates is once, but the benefits you reap multiple times in the future. When creating an email, you can customize each email with separate information that you feed into the CSV that can be called to your email template to hyper-personalize the email. The most important aspect of email outreach is probably not even the first email, but the followups. Follow-ups act as reminders to your prospects or leads. 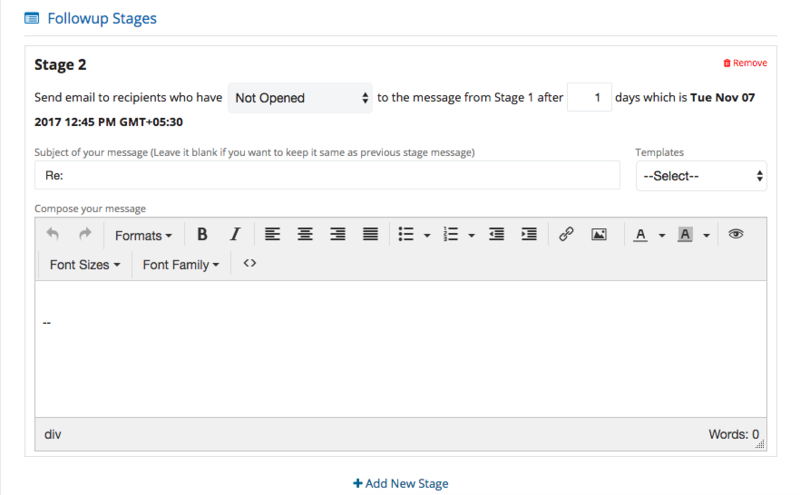 With SalesHandy, you can create the follow-up emails immediately after the first email. You can send the emails to people who have Not replied or who have not opened the email. If you have built templates prior to this, you can use them as well. 3. You can mail merge. This is basically integrated Sales Handy with your Gmail account and you can receive your emails there. So once a campaign is pushed, you don’t have to go to Sales Handy to check if you’ve got the replies. You can check your Inbox which is more natural to do. 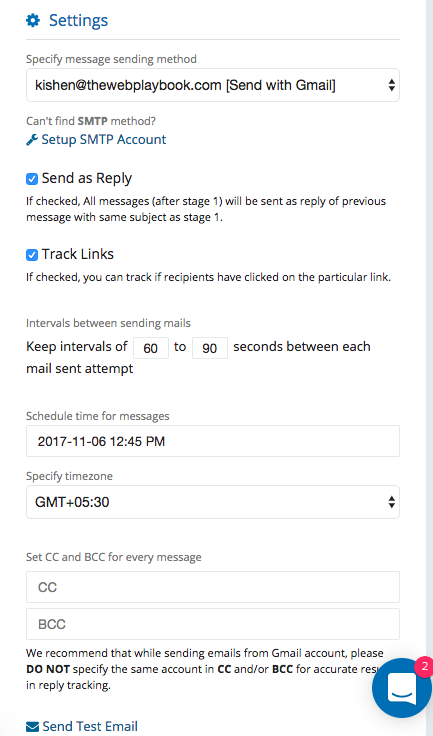 With mail merge, you can track the emails and also schedule a specific time to send the messages. It’s a lot better to send the emails from your company Gmail because it’s considered a lot less spammy. Fourth Milestone: Who is the fairest of them all? So you’ve found emails and you’ve sent them to the right people. You have maximized your efforts. Now it’s time to get more data about your leads and increase your chances of getting more revenue. Let me introduce SalesWings. SalesWings is an intelligent predictive lead scoring and website tracking solution which helps you increase your deal closing rate thanks to an intelligent lead qualification and lead prioritization. 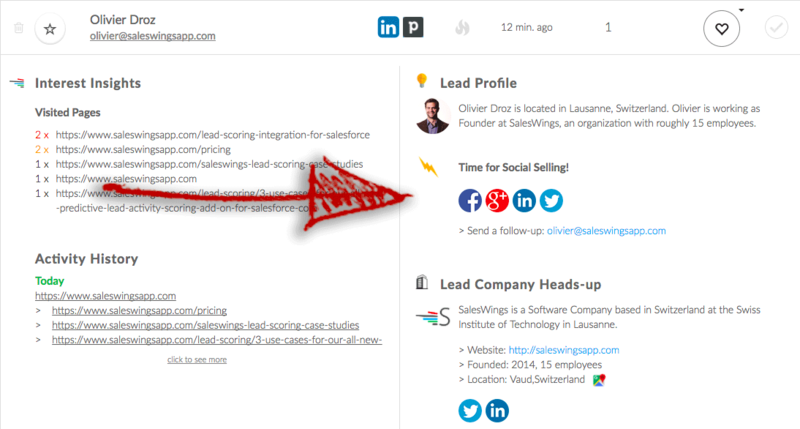 SalesWings tracks your leads’ website visits, prioritizes them for your sales team, so they would know instantly which are the most sales-ready leads and whom they should contact with priority. The moment a potential user clicks on a link from an email or fills in a web form on your website, the user is automatically tracked and their behavior is analyzed. What happens next is that the leads are ranked based on their on-site behavior and their purchase intent. Once the leads are tracked, they will be ranked as hot, warm and cold leads and depending on that your marketing team would know who needs to be sent directly to sales and who needs some further nurturing. So what SalesWings does is, it prioritizes the leads that are most likely to convert based on their behavior on your website. As they say, getting the low hanging fruit and maximizing revenue. One of the superpowers that one can possess during sales is the knowledge of your prospect’s business. As SalesWings, provides a real-time data on your leads, sales teams are able to qualify and email their prospects quickly and turn them into paying customers. As the golden rule goes: “The first person to make the pitch is usually the one who ends up closing the deal”. The real-time contact data enrichment feature helps sales reps reduce lead qualification time by offering them insights into the nature of the leads’ interest based on website activity, as well as enriched contact information about the lead’s profile and his company’s key data. This feature gives you the possibility to quickly and effectively qualify your leads and determine if they would be a fit for your business and prevent you from wasting time on the wrong prospects. As you probably already know – data is an absolute key. It is simply impossible to customize an email without having enough relevant data about the lead. Luckily, SalesWings offers an intelligent real-time data enrichment feature which is basically all the information that you can possibly get about a lead and their company. The pages they’ve visited – This helps you understand if the person is just browsing around or is truly interested in your product/service. Social Media Accounts – Helps your social selling by providing you with all the social media accounts of the lead. The person’s job title – Gives you an insight into their current position, experience and allows you to quickly determine their decision making authority and if they are they are the people you should be in contact with. Size of their company – Knowing a company’s size can help with pitching the right plan to the prospect. All this data helps with customizing an accurate email to close a prospect immediately. These three tools will help you considerably ramp up your sales efforts. If you have the right strategies in place, then you’ve put your company in a position to get revenue from a very lucrative channel. Did you find this article useful? Let us know in the comments.